An exhaustive how-to manual and impassioned plea on behalf of riding bicycles for transportation and as a way of life. 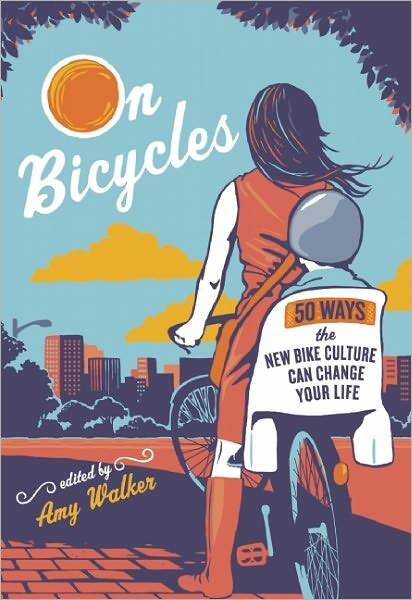 Editor Amy Walker is joined by some 30 authors–policy-makers, researchers, business owners, activists, parents and/or cyclists–in this instructive manual. On Bicycles is not concerned with colorful Spandex, racing bikes or speed. Rather, this is a handbook for North Americans who want to use bicycles for commuting, transportation and fun. The book covers a range of subjects and possible needs. First, why we ride: for better health, for the environment, for a better connection with our communities. Next, chapters cover what gear is needed, how to ride safely in various conditions, how to make the transition away from the car; how to transport kids by bike and how to get them on bikes themselves; how to use a bicycle for cargo needs; different kinds of bicycles; community services and connections including and beyond the retail bike shop; and redesigning our infrastructure and culture to allow for more and better biking. Your experienced-cyclist-and-book-reviewer learned new things; the novice rider will be thoroughly equipped with information and empowered by the enthusiasm pouring off these pages. Walker’s examples come largely from that exemplary bike town, Portland, Ore., and some of her discussion feels a bit removed for cyclists in, say, Houston–but her arguments and advice are more, rather than less, relevant for cities (and riders) with further to go before reaching cycling nirvana. The only caveat: if you are in the camp that occasionally resents Portland’s reputed smugness, you may find a touch of that here. But it might be worth the stellar and scrupulous advice. This review originally ran in the September 20, 2011 issue of Shelf Awareness for Readers. To subscribe, click here, and you’ll receive two issues per week of book reviews and other bookish fun!